Hi new friends of Two Degrees Food. My name is Colin and I'm the director of marketing for our amazing social enterprise. We founded this company to help fight childhood malnutrition by distributing medically formulated nutrition packs to hungry children. For every one of our all-natural, gluten free, vegan food bars we sell, we donate one of these life-saving nutrition packs. We are really excited to be featured on The Daily Grommet today and I'm here to answer any questions you might have about our delicious bars or questions you might have about our mission and the nutrition packs that we donate. Standing by for your questions! What a heart-warming and brilliant concept! Well done!! Can you point me to links to the nutritional info for your bars and the nutrition packs? Thanks for your kind words! We are so excited to be featured today and appreciate your support of our mission. You can find nutritional information on the bars here. 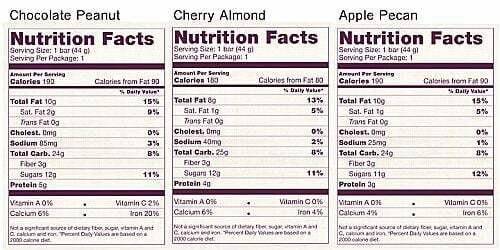 You can find nutritional information on the nutrition packs here. Thank You for executing this great idea! My question is: Are you currently possibly centering on sending the nutrition packages to Somalia? Our next donation will be in Kenya where many of the refugees from Somalia are heading for help. We are really hoping to get into Somalia, but have yet to find a partner to distribute nutrition packs. Thanks so much for your support of our mission. The full list of ingredients can be found on the detail tab which is under the video but above the story on the feature's main page. I love this product and the video was wonderful and inspiring! It looks like they will be in all the whole foods in the country which should really start getting help to all these poor children. Awesome, wonderful idea. I've had the bars before and they are quite delicious but I never knew the story behind them. I am curious what is in the nutrition packs (I know they are medically formulated but what specifically is in them...oatmeal...?) Do they taste decent (I know this is not a necessity to someone who is malnourished I'm just curious). 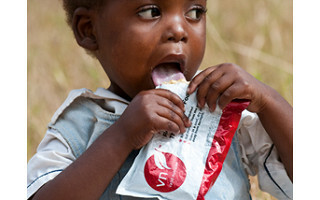 The nutrition packs are pre-cooked and contain milk powder, sugar, peanut paste, vegetable oil, and vitamins & minerals. They taste a lot like peanut butter and are designed so that kids will actually want to consume them (ie; they don't taste like medicine). I've tried one myself, and I would definitely compare it to a sweet peanut butter. Thanks for your support of our mission! At this time our bars our not kosher. The more important question is whether you have any plans on getting kosher certification. I imagine that most if not all of your ingredients are kosher, just as they are vegan. Getting kosher certification will open your market up to people who keep a strictly kosher diet. @ Gordon Davidescu: Thank you for sharing your perspective & suggestion. We have passed them on to the Two Degrees Food Team. We know there's no shortage of all-natural, eco-conscious snacks out there nowadays. But Two Degrees just raised the bar (literally) by going beyond the snack itself, all the way towards ending hunger. 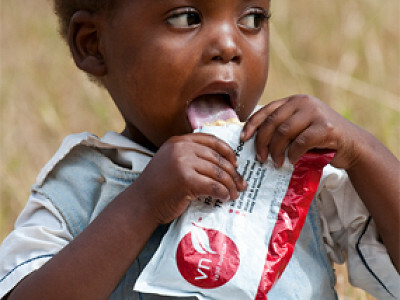 The premise is simple: For every bar they sell, a nutrition pack goes to a child in need via Two Degrees' partnership with Valid Nutrition and Partners in Health. A wholesome food purchase for your family actively impacts hunger elsewhere in the world. And don't worry, the choices are delicious. (Activism is great, but you want something you'll want to eat, too!) These all-natural, gluten-free bars come in Apple Pecan, Chocolate Peanut, and Cherry Almond flavors – our testers loved them all. The wrappers are recyclable and the boxes are made from 100% post-consumer paperboard. Founded by Will Hauser and Lauren Walters, Two Degrees has assembled a Who's Who of thoughtful nutrition: Executives include former stars of companies like Odwalla, Clif, Method, LUNA, and more. Together they've created nutritious food you'll want to eat, with a unique spin on the 1 for 1 concept. So eat up, and help end hunger.